Diary of an 80's Radio Girl: I Still Want My MTV! "Remember when MTV actually played music?" How many times have we all heard that question asked? For those of you that do remember, you're very lucky. 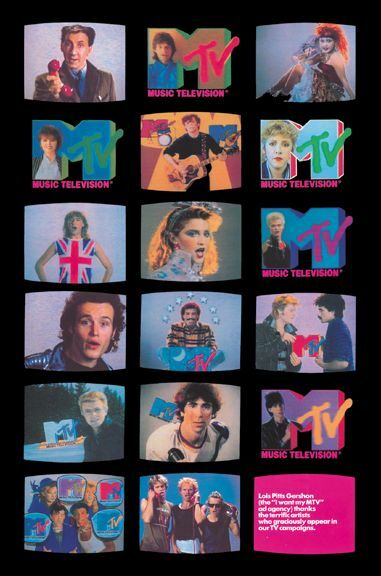 It was pretty amazing when MTV first started, to actually have visuals to go with some of the best songs being played on the radio. My kids can't even wrap their heads around not being able to go to YouTube and watch what they want, on demand let alone having videos not exist at all! Those early years of MTV were pretty magical for everyone involved on any level. It was cool for the artists to finally get to bring their lyrics to visual life and it was equally cool to be a 12-year-old counting down the days until the hotly promoted "World Premiere" of whatever music video. Then they'd play it on the hour for an entire weekend just to make sure that we all saw it a couple dozen times. How many times did you watch the clock while outside playing so that you could be in front of the tv at the top of every hour for when the hottest videos would play? We all did it, right? I wish for one solid week my kids could go back in time to the early 80's when MTV was something to really look forward to. Now it's just a parade of reality shows with people destined for parenthood, divorce and rehab- all by the age of 21! It seems to take the death of an iconic artist such as Prince or David Bowie for MTV and VH1 to just play videos. In times of crisis music television instinctively drops all regularly scheduled programming in favor of, that's right, music videos. A few days of non-stop Prince videos made me realize that I still want my (old) MTV, every day!